Thursday: Maundy Thursday Worship Service with Communion at 6:30 p.m. Friday: Good Friday Tenebrae Service at 6:30 p.m. Saturday: No Saturday Worship Service. Sunday: Sunrise Service at 7:00 a.m. Easter Breakfast at 8:00 a.m. Second Easter Worship at 9:30 a.m. There is no Sunday School Easter Sunday. The April Chimes may be found under the News tab above. Under the Calendar of Activities tab above, is a calendar listing major activities up through May 2019. 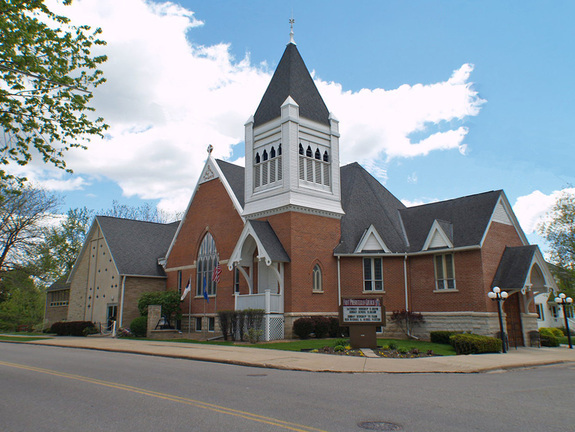 First Presbyterian Church of Galesville, Wisconsin, is a community of faith, united in Christ, sharing God’s love and grace through worship, praise, fellowship and service. The Holy Spirit empowers our response to Christ’s teachings through love and joyful stewardship of God’s gifts within our congregation, our community and the world. Amen. ​Sunday School: 9:00 a.m. (for all ages) Second Sunday of September through the end of May.